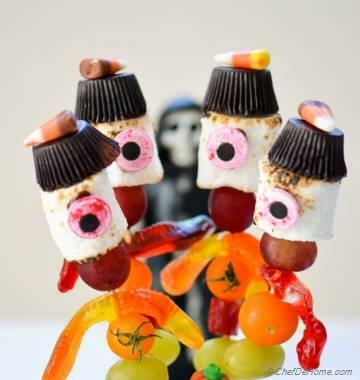 Today when my neighbor asked me for some Halloween ideas, I asked her to checkout some good healthy Halloween kids snack on my website. Next day she said, Savita, your recipes are excellent for kids but kids like creepy funny stuff too, it’s hard to feed kids healthy on holidays. 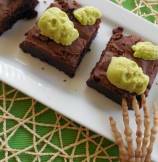 So especially for them, I made these creepy little brownies dazzling with candy skull pieces. 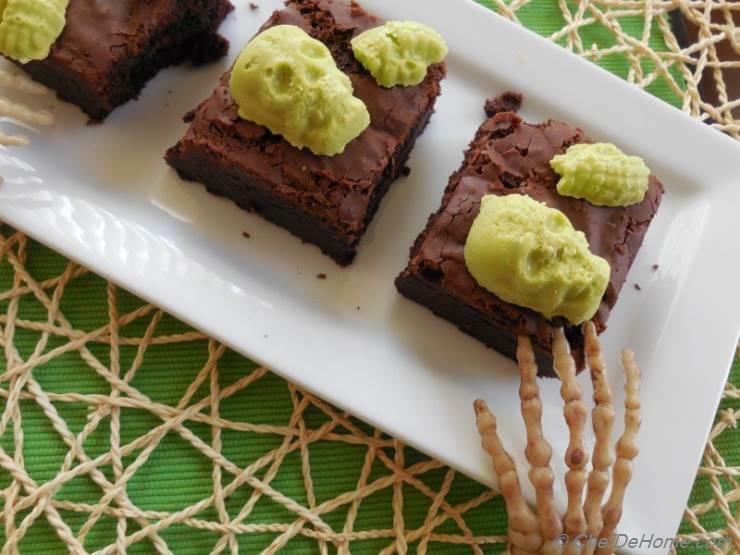 Ready in no time, these creepy brownies will steal the show for any kiddie party. I have used store bought brownies but you can make brownies at home too. 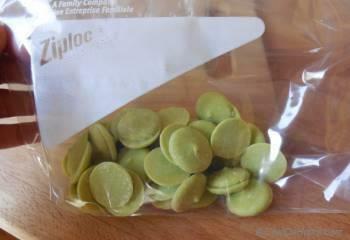 Candy melts and skulls molds are easily available in most Halloween or crafts store these days. 2. Pour melted candy into Skull Molds and let it chill to set completely. (about 1 hour). To serve, place individual brownies squares on serving platter, top each with parts of skull and serve. I always use store bought brownies for quick snacks and have two packets right now, I have to try these candy melts to make these fun little surprise treats for my son. great idea!! 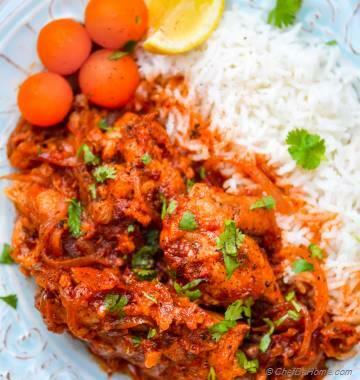 excellent website, great recipes, I wish best to your blog Savita. This is my first Halloween in States and my kids are all crazy for these creepy products. 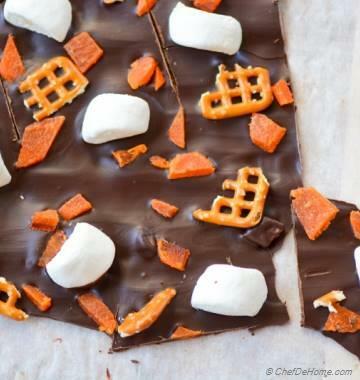 Your idea of candy melts and brownies sound great, I have to try it.